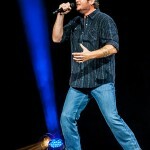 Saturday September 28th, The Palace of Auburn Hills was packed with self proclaimed hillbillies, rednecks and country music freaks waiting to rock out country style with Blake Shelton. 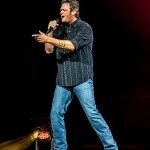 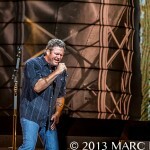 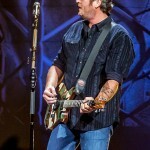 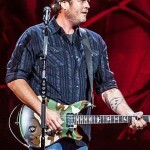 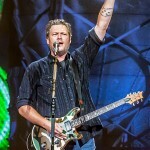 The county music sensation and judge of the NBC hit show the “Voice” is selling out venues nation wide with his 2013 “Ten Times Crazier Tour,” Blake’s first headlining show. 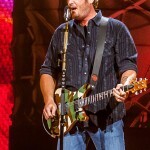 With lighters being a thing of the past, what are we to do when an artist performs a ballad? 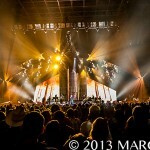 Well as any good country music freak would do, you turn on your cell phone LED light! 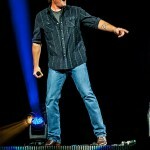 The Palace was a glowing room of fire flies swaying as Shelton performed “Home”. 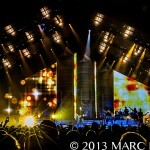 The energy was amazing and with the powerful performance it is sure to be one of the highlights of the night. 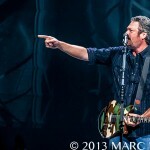 Ice cold beer, girls and a truck, ending the night with the crowd favorite “Boys Round Here”. 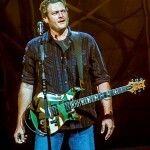 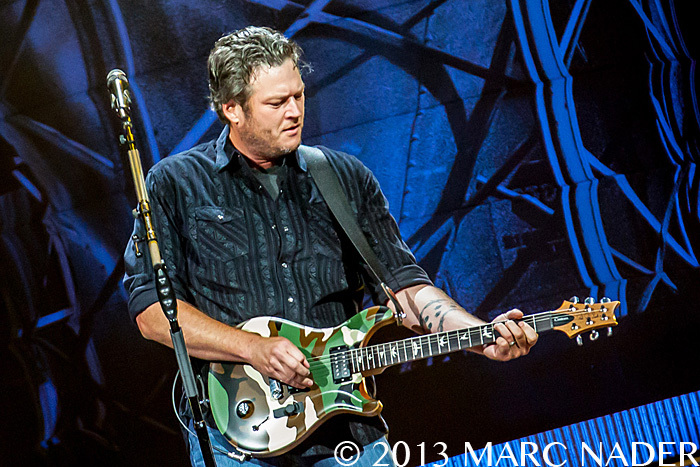 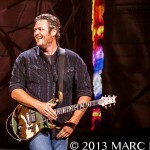 Blake had captured the spirit of the country music freak, which is how he referred to his fans through out the night. 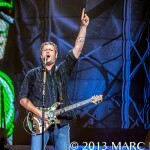 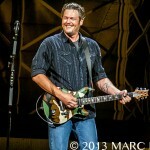 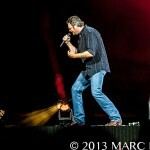 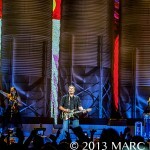 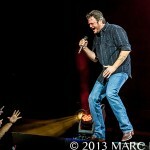 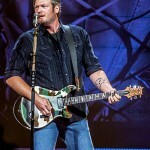 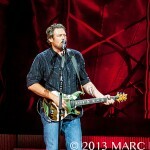 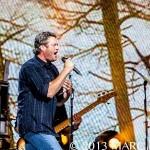 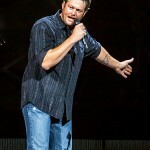 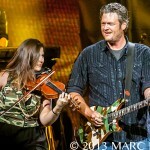 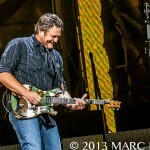 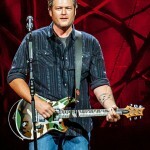 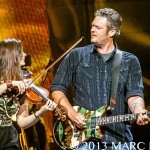 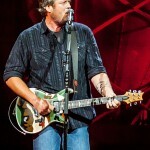 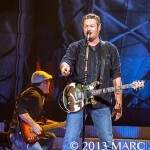 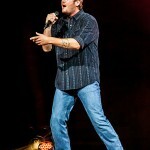 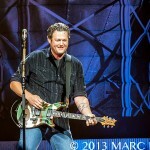 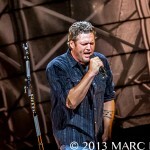 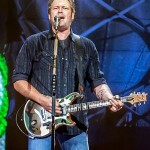 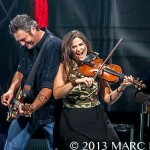 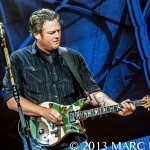 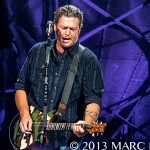 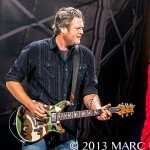 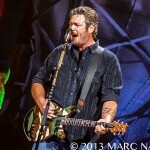 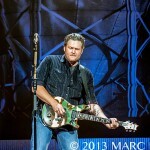 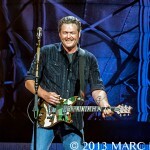 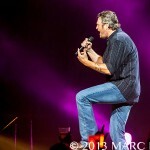 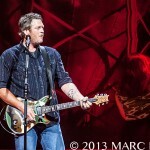 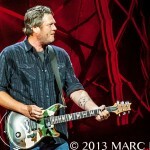 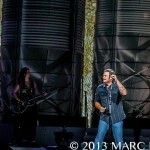 Withsuch and energetic non stop show the fans were eager for more of Blake Shelton’s charismatic ways. 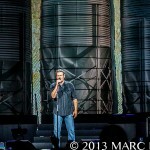 With unending cheers it wasn’t long before he stepped back on stage for a double encore. 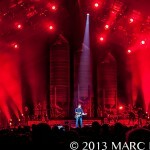 “Footloose” and “God Gave Me You” took his Detroit visit to an epic end. 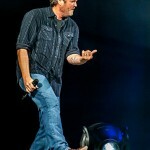 Upon exiting the Palace you could hear fans attempting their own version of Blakes performances as they walked to there vehicles. 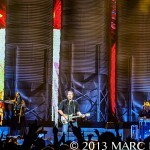 Radios of passing cars rang out with various songs from the nights echos as the passengers sang along. 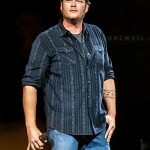 To say the least, he had captured redneck hillbillies for years to come, his job here was done. 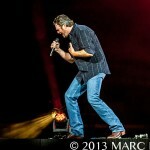 Until next time Mr. Blake Shelton.